The death toll from torrential rains in western Japan rose to at least 176 on July 11, and dozens of people were still missing after massive flooding and landslides destroyed homes and displaced tens of thousands of people. 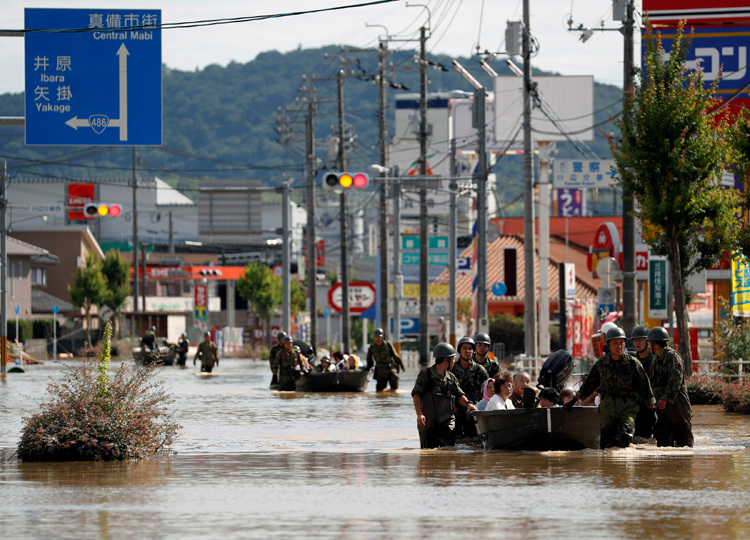 At least 254,000 homes are still cut off from water supplies in Hiroshima, Ehime and Okayama prefectures, those hardest hit by the torrential rains of early July, according to the welfare ministry. Rescue operations by Self-Defense Forces personnel and others continued in disaster-hit areas, while the Meteorological Agency warned that landslides and flooding continue to pose a danger. The number of casualties is expected to rise further as officials assess the damage in affected areas. Thousands of people remain in evacuation centers in 15 prefectures, according to the Fire and Disaster Management Agency. At one point, evacuation orders or advisories were issued for up to 6.3 million people, but the number later dropped to 1.8 million in 14 prefectures.